There's a culture phenomenon that you need to be aware of. It's wildly popular among kids. It's a video game entitled Fortnite Battle Royale. The game has become an obsession for millions of kids. How popular is it? So popular that parents are hiring coaches for their kids to help them get better at the game. Parents are paying up to $50 hr. for game mentoring. And you can be sure of one thing - the reason parents are paying for coaches is because their kids are in their ear about it. Kids are facing peer pressure at school to be a great Fortnite gamer. If you're not familiar with the game, gamers compete in 100-player groups to be last character standing. The game is available for PC, Xbox One, Playstation 4, iPhone and Nintendo Switch. Players can purchase accessories like gliders, pickaxes to help them win. The items are purchased with a game currency called V-Bucks. Stats show that over 125 million people are playing the game and it's on track to bring in 2 billion dollars this year. Anytime something is this big of a hit, it is important to ask "Why?" What elements does the game incorporate that are such a big draw for kids? What can we learn from this as we seek to connect with today's kids? Let's take an inside look at what elements of the game are drawing so many kids in and see how we can translate some of those elements into our ministries. Creating a personal story. Each person's avatar is immersed in a world of travail and adventure. Kids often share with their parents what happened in the game. The fact that kids can create their own story and see it unfold in the game, is a big draw. Children's Ministry - God has a special story for each child's life. We can prepare them for the adventure God has planned for them now and as they grow up. Encourage kids to pursue and step into the story God has for them. Part of a community. The game is designed to be played collectively. Kids can play with other gamers. Children's Ministry - Kids long to belong. You have the opportunity to help kids experience community through your classes and small groups. While high-energy, exciting large group times are important, it is not enough by itself. Kids also need to be in a small group where they are known, loved and invested in. It's often a family event. Many parents sit with their kids and take turns playing. Kids say watching other people play is almost as fun as actually playing themselves. Children's Ministry - create shared experiences for kids and parents. This can be anything from shared worship experiences to classes they attend together to activities they do together. Kids feel a sense of achievement. Even when they don't win, getting into the top 5 is satisfying. Children's Ministry - Use games and activities that give kids the opportunity to achieve goals. Have contests that promote friendly competition. And even if they don't win, create an environment where everyone's achievement can be recognized. The environment looks kid-friendly. The world is designed to look cartoonish and welcoming. Children's Ministry - The physical environment you place kids in matters. Design your spaces with kids in mind. Use kid-friendly colors. An environment with decor that is designed for kids will make a difference in how your ministry is perceived. Not only by kids, but their parents as well. The goal should be to hear parents say, "Wow...my kids will love this environment. Free. The game is free to play. This opens up the game for families who could otherwise not afford to play. Children's Ministry - Be a place where families feel comfortable coming no matter their financial or social status. Kids get to build a fort. Kids love to build. Legos. Lincoln logs. Car models. And forts in Fortnite. Children's Ministry - Bring building into your games, activities and lessons. Building things can be used to build kids' faith. Here's an example. As you share the story of the walls of Jericho, have the kids use building blocks to build the wall of Jericho. Have them march around the wall 7 times and then knock it down. Talk with the kids about God's power being evident when we obey Him. And how God can bring down walls in our personal lives. Kids get to make their own choices. Kids are told what to do most of the time. Go to bed at this time. Go to school on these days. Take out the trash now. They have very few opportunities to be in control. Fortnite gives kids the opportunity to make their own decisions and be in control. Children's Ministry - Give kids the opportunity to make choices. What song do you want to sing? Here are 3 activities. You get to pick the one you want to participate in. Here are 3 game options, which one do you want to do in our small group today? These are just a few of the factors that pull kids into Fortnite. Implement these factors into your children's ministry and you'll see kids excited and engaging. Your turn. Any other insights you have about the game and kids' involvement. Share your thoughts in the comment section below. p.s. 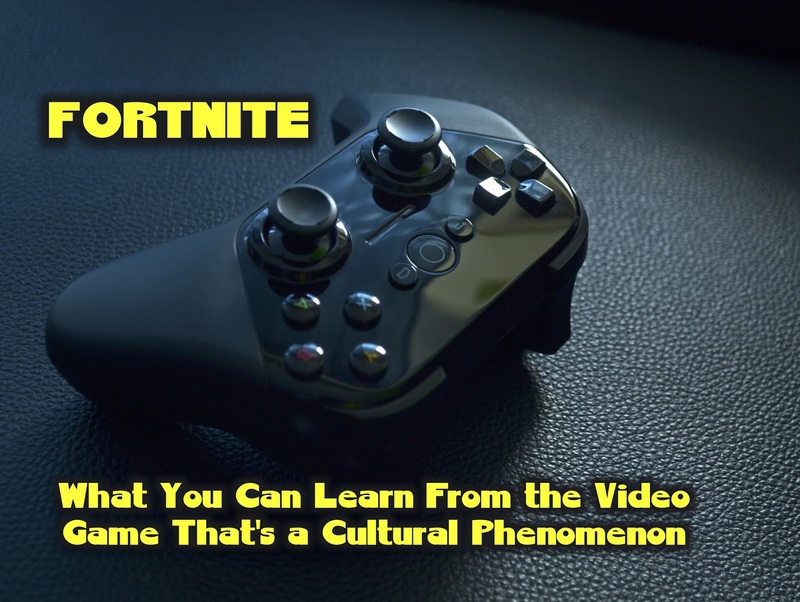 This is not an endorsement of the game Fortnite, but simply a look at why kids love to play it. I understand where your coming from but in using it as a lesson is telling kids that we condone it. I am aginst any game where killing is the objective. We are supposed to be separate from the world not like it. Lets here from other parents pastors etc what do you all think. I don't think Dale is suggesting to bring Fortnite into the kids spaces at church. As Dale said, Fortnite is extremely popular and there have to be reasons for that popularity. Dale, I believe, is simply trying to share what makes it popular and how we can take those principles or concepts and use them effectively in our own ministry.